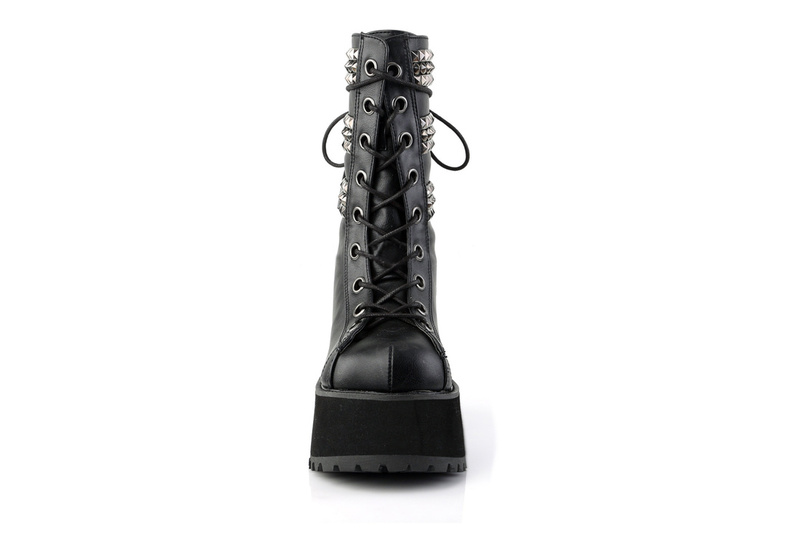 The RANGER-305 is adorned with pyramid and cone spikes on triple straps around the calf. 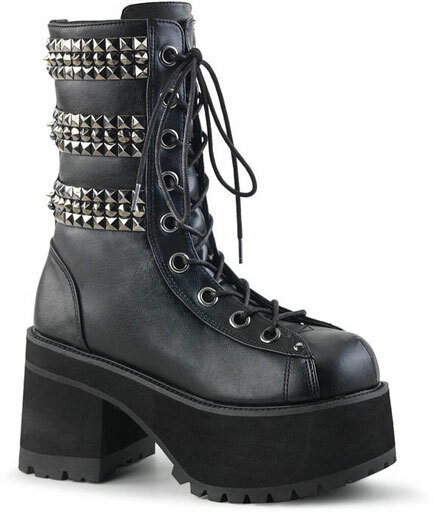 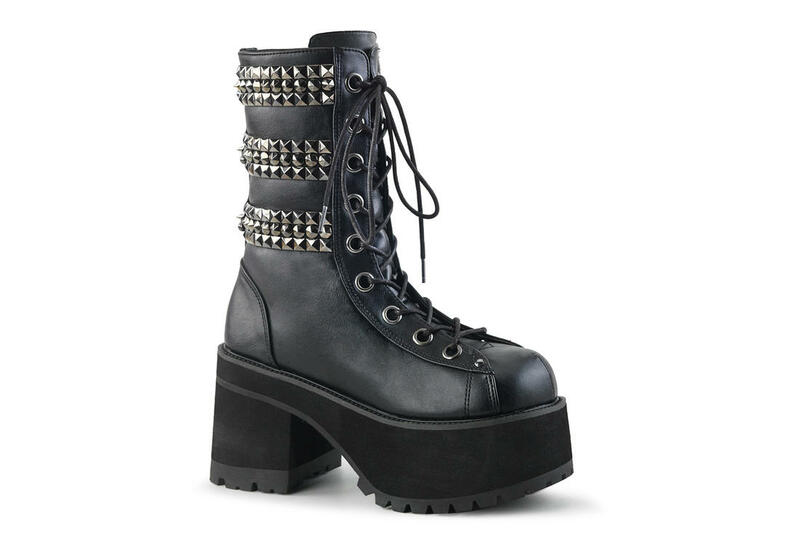 These lace-up platform boots have a 3 3/4 inch heel with a 2 1/4 inch platform. 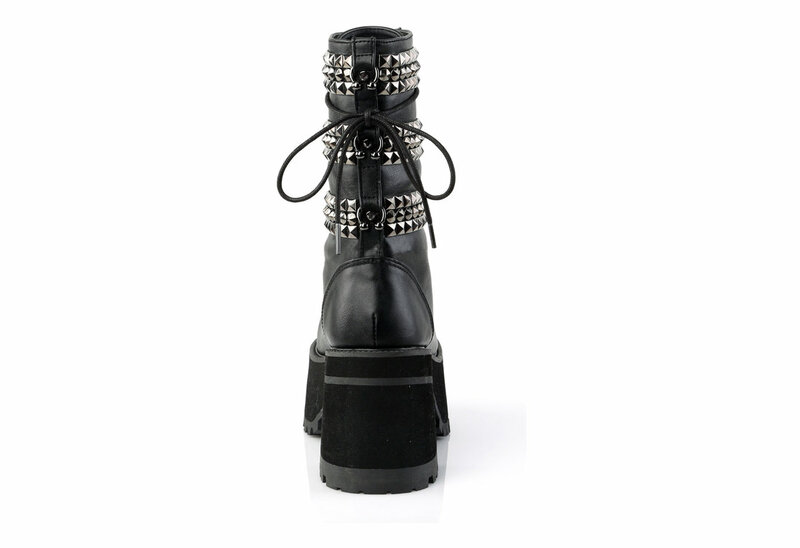 The back of the boots have horseshoe barbel rings details.